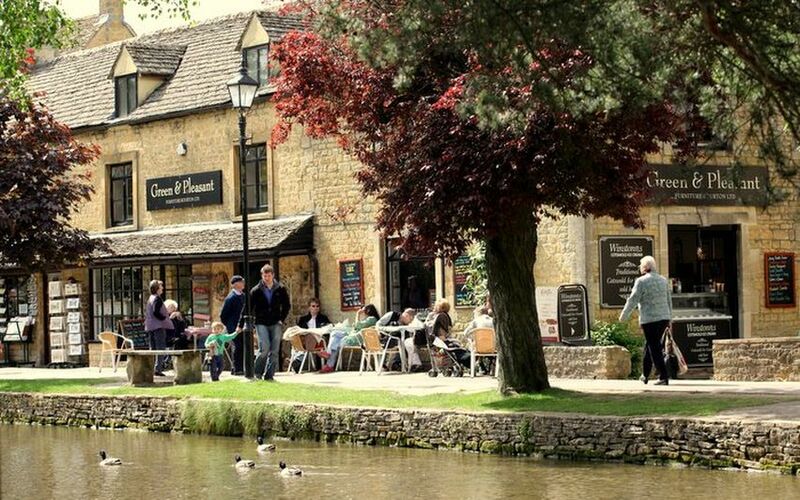 Nestled alongside the picturesque River Windrush, Green & Pleasant Tea Rooms offers a lovely setting for enjoying something to eat and drink, while soaking up the atmosphere of the Cotswolds. The tea rooms specialises in vegan cakes and scones and offers a range of gluten-free food. As well as a variety of coffee and teas, there is a selection of 12 juices. Cream teas are served with our home-baked scones, clotted cream, butter and jam. Toasted tea cakes come with butter and jam. A mouth-watering array of sandwiches include coronation chicken, Thai chicken, minty lamb and vegetable tikka, plus any combination a customer wishes. All sandwiches come with garnished salad and kettle chips/crisps. A varied selection of pate comes with toast, or a choice of breads, again, garnished with salad and kettle chips/crisps. All our bread is supplied by the award-winning Hobbs Bakery, baked from the finest ingredients in a traditional manner, free of preservatives. The cake menu includes carrot cake, coffee and walnut cake, chocolate cake, Black Forest cake, Victoria sponge cake, as well as gluten-free cakes. There is also a vast selection of cheese cakes, and muffins etc. The 'Winstones' range of ice cream is offered - a family-run Cotswold business producing ice cream since 1925. "The scones were the best we've ever tasted and they were served with a smile." "They have some great gluten and dairy-free options which allowed me to enjoy a lovely lunch with my family." "Great little place, nice cream teas, with very pleasant staff."